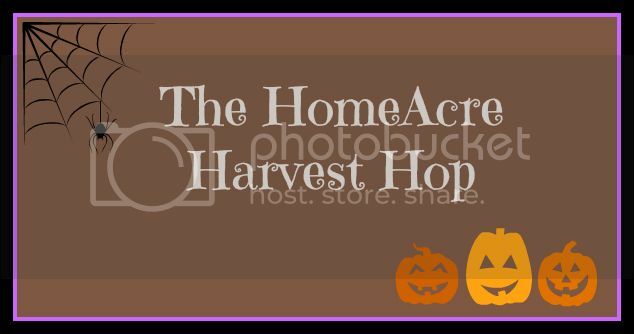 Welcome to our HomeAcre Harvest Hop, A special edition of our regular blog hop! A place to share your Harvest Themed post! I haven't even purchased pumpkins yet, so I look forward to your inspiration!! Make sure you check out our special Pinterest Board for the Holiday Seasons! Crocheted Rag Rug by Hill House Homestead. Link as many seasonal and harvest posts as you’d like! Older posts are great too. If you wish to be featured, you must link back to the hop (on any host’s blog) with the button or a text link, and please follow us on Facebook, Twitter, Google + and/or Pinterest! Your rug is so cute! Actually it is not my rug :) It is just a post I featured! It is someones elses cute rug! I would love to make one though. Thank you for featuring my rug!